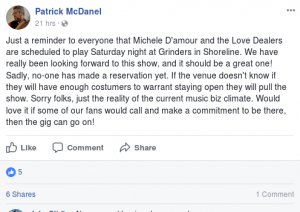 Hey, Michelle D’Amour & the Love Dealers are scheduled to play at Grinders in Shoreline tonight, but nobody has made a reservation yet. 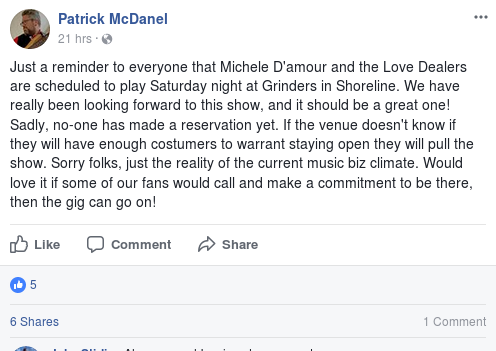 There’s talk about canceling the show and closing early! If you want to hear a first class local blues combo, get out and see these people, but more important, make a call now. The phone number for Grinders is 206-542-0627. The CD Woodbury Trio will be on hand, joining the Love Dealers for some numbers.